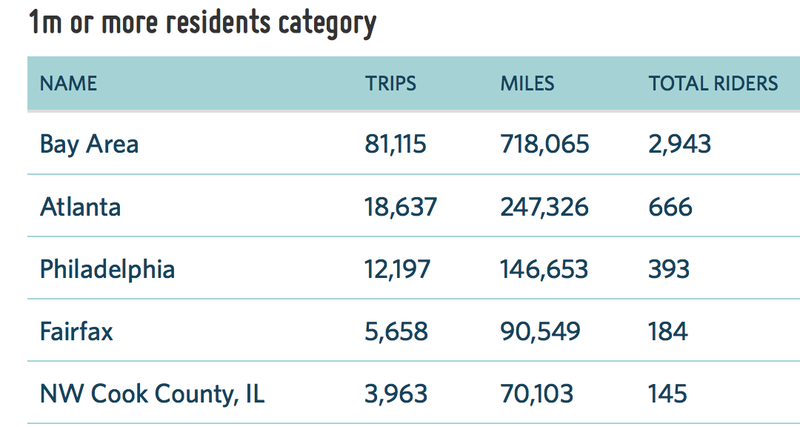 Since June 10, the 184 Fairfax County cyclists who have signed up for the National Bike Challenge have continue to log an impressive number of trips and miles. Fairfax County is holding strong in fourth place in the nation among com- munities of a million or more residents. Since June 10, the Fairfax riders have taken 1,455 more trips for a total since the start of the challenge of 5,658 trips. In just 20 days they logged another 33,093 miles for a total of 90,549 miles since the first of May. 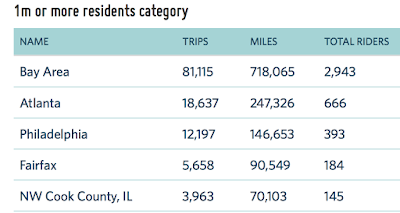 Fairfax is keeping ahead of Chicago-area riders but has yet to close the gap with the Philadelphia-area cyclists, who have the advantage of 200 more riders signed up. It would help if some more Fairfax cyclists who are also fans of the Nationals, Redskins, Wizards, and NHL Champion CAPITALS signed up. Show your team spirit and sign up at Love to Ride.